What is true wellness? Well it encompasses a whole lot of things. One of those things is GRATITUDE. ….. an emotion expressing appreciation for what one has. To quote a scientist that has studied the topic, Mr. Robert Emmons. Gratitude has 2 main components. It is a relationship-strengthening emotion – which is so very important in this modern age of technology and lack of social interaction. 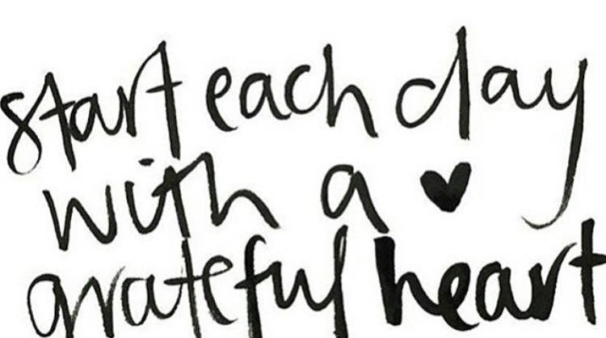 So HOW does GRATITUDE add to our WELLNESS? 1. Gratitude brings us happiness – therefore, decreasing anxiety and stress. 4. Allows us to sleep better. These are all factors that increase our general wellness and our important not only for our mental health but our physical health too. If this is concept is new to you here is a good way to start. This will surely already get your day started off on the right foot! Wellness is important. And when your physical, mental and social health is all aligned …. you will feel well! Any questions just contact Dr. Erin Madonia @ 647.281.8073. Hi there I am so grateful I found your weblog, I really found you by error, while I was browsing on Aol for something else, Anyhow I am here now and would just like to say kudos for a remarkable post and a all round thrilling blog (I also love the theme/design), I don’t have time to look over it all at the minute but I have saved it and also added your RSS feeds, so when I have time I will be back to read a lot more, Please do keep up the great b.